But changes in the postCold War world, as well as unforeseeable advances in satellite and weapons technologies, have compelled every space-faring nationsave the U.S. and Israelto go on record as favoring a new treaty for the Prevention of an Arms Race in Outer Space. 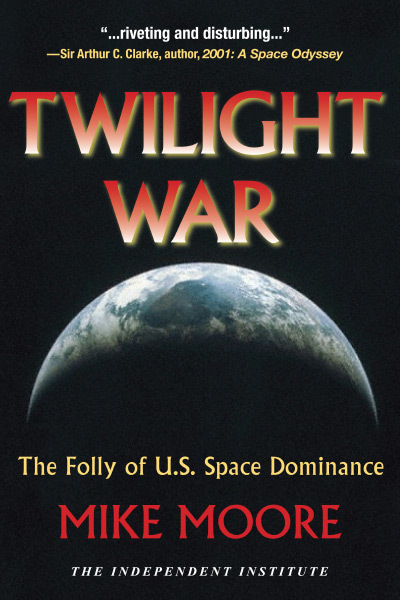 In Twilight War: The Folly of U.S. Space Dominance, Mike Moore, former editor of The Bulletin of the Atomic Scientists, argues that the U.S. merely provokes conflict when it presumes to be the exception to the rule. Rejecting treaty negotiations while further militarizing space renders America unable to lead by example. Moore concludes that instead of trying to stop an arms race in space by starting one, the U.S. must radically rethink its strategy. 15. The Next Cold War?